In this excerpt from his unfinished last work, Satan, Prince of this World, 1959, published posthumously in 1997 he describes his personal contact with Illuminist conspirators. I admit that as late as 1945, I was convinced that a One World Government was the ONLY solution to the world’s many problems particularly political, economic, social, and religious. It wasn’t until I came in personal contact with men who advocated and helped organize the United Nations Organization that I began to suspect that something was wrong somewhere. 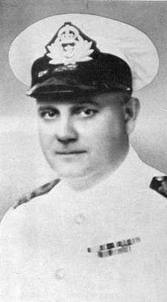 When I was appointed to the staff of Naval Service headquarters in 1944, as the author of seven books already published, I was welcomed into the internationalist set. Thus, I came in personal contact with men in the top level of government in Canada who were protégés of William Lyon Mackenzie King, then Prime Minister. His house was “real” close to the Soviet Embassy. His henchmen (Hatchet men would be a better word) were ruthless and unscrupulous. 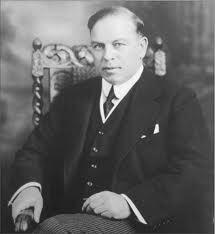 Mackenzie King himself was as inscrutable as the proverbial sphinx. The Prime Minister was an extraordinary man. He was indefatigable. He required unlimited obedience and service from those he selected for his cabinet. He was a good deal colder than ice as far as his personality was concerned. If he had any human emotions he kept them in subzero storage. He rarely smiled. He had a typical “poker” face; his eyes were deep and penetrating, but if the eyes are the “windows of the soul” then Mackenzie King had lost his soul long before he ever became Prime Minister.